2 goals from Kota Mizunuma, plus Jun Nishikawa shone up with his assist debut. 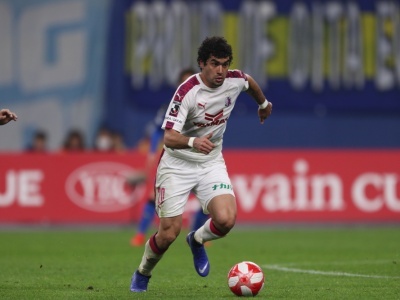 Cerezo celebrated the first victory of Levain Cup 2019. Voice of Kota Mizunuma who scored distinguished 2 goals was hoarse after the match. He said with an expression of relief and a gentle smile. 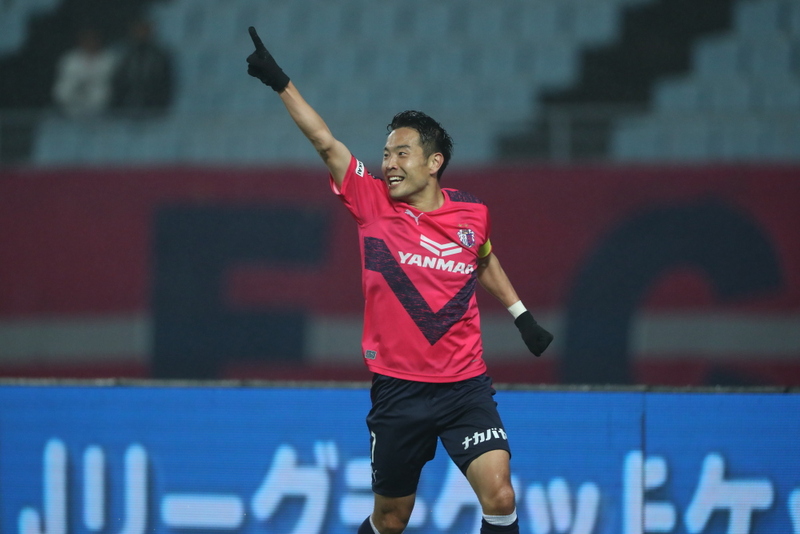 Cerezo Osaka started this season’s J League YBC Levain Cup with aiming “win back” the title. 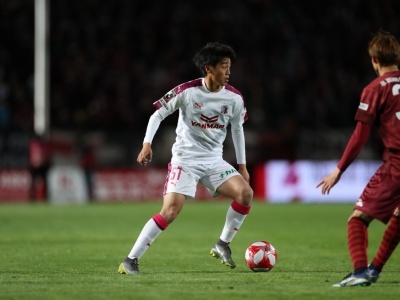 The match facing against Nagoya Grampus was a “must have the result” game (by Naoyuki Fujita) for Cerezo who had last 2 group stage games one draw and one defeat. And they showed their passion on the pitch from the right beginning. 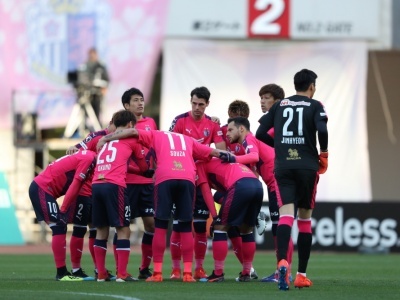 “How to start was everything” as Yahiro Kazama, the manager of Nagoya pointed out after the match a cause of their defeat, Cerezo started with 4 backs formation first time for the regular games, and drove the opponent by pressing aggressively from the front. Then in 10th minute, Fujita won the ball in the opponent territory and actuated the short counter attack. He and Mizunuma entered into in front of the goal, and by one-two, Mizunuma executed the clean opener. Immediately after that, in 15th minute, Cerezo’s GK Kentaro Kakoi’s long kick was extended and bounced, caused Nagoya’s GK Yohei Takeda mistaken in judgment, the ball went over his head, then Mizunuma who ran behind the GK kicked it into the open goal, and Cerezo earned the additional point. That made Cerezo advance the game to an advantage at a stretch, and although they had a period of under presser by Nagoya at end of 1st half, Kakoi made a fine save at the crucial threat in 41st minute, and kept the clean-sheet. Cerezo controlled the game into the 2nd half too. They linked the ball firmly and well against Nagoya, then launched counter attacks, Toshiyuki Takagi and Atomu Tanaka ran into from sides and made shots. They kept trying for more goals, and there was a scene that they almost scored with a sharp cross sent by Kakeru Funaki. Cerezo also defended well too and didn’t give any crucial opportunities to Nagoya, there were only 3 shots Nagoya made in the 2nd half. The all the 3 shots were made from outside of the penalty area and no real threat for Kakoi. Then in 82nd minute, they had the moment that made the stadium most excited in the 2nd half. Jun Nishikawa who came in as a substitute to Takagi from 68th minute, made an exquisite through-pass to Takaki Fukumitsu who were ahead of him, and Fukumitsu received the ball by outside of right foot. He then calmly executed the goal in the one-versus-one situation against GK, scored the 3rd and decisive goal for Cerezo Osaka. After the match, Nishikawa thought his 2nd J League game for the club back and said ‘The warm welcome by home supporters made my appearance to the game very easy.’ with his easy-going expression. The players who don’t have much chances to appear in the league games expressed themselves on the pitch, and took grasp of the one valuable victory to break through the group stage.